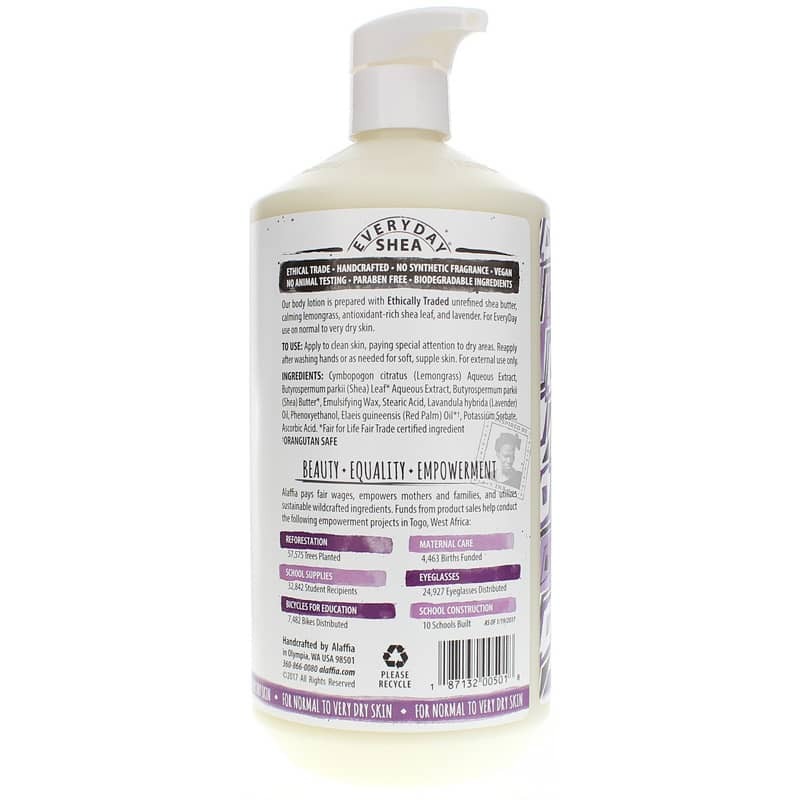 Lavender Everyday Shea Moisturizing Body Lotion from Alaffia is a paraben-free intensive moisturizing lotion that is handmade with handcrafted, certified fair trade unrefined shea butter. This amazing lotion is enhanced with calming lemongrass and antioxidant rich shea leaf extracts. Formulated for everyday use. Apply to clean skin - paying special attention to dry areas. Reapply after washing hands or as needed for soft, supple skin. The lotion itself is good. <br>It's the scent i would like to talk about though. I don't mind strong smells, but my son and husband want to leave the room when I put it on. It's really strong. <br><br>But, if u love the scent of lavender this is totally the lotion for you. This lotion is my favorite. Not oily and my skin feels fabulous after using.